One could think of contemporary narrative cinema as having two horizon points, the first related to wall-to-wall CGI, the second to epic long shots and the blurring of distinctions between documentary and fiction. The two seem related to me and worth talking about in tandem. To start with the second: because the blurring of documentary and fiction involves two historically distinct modes of filmmaking, it can be viewed from two angles. On the one hand, critics frame these movies as questioning "the documentary," as arguing that uninflected truth is unattainable, that subjectivity or determinants of subjectivity (sometimes called society, discourse, knowledge-slash-power, fields of forces, empires, or capitalism) determine every perception. This sentiment was strongly articulated in the autocritical ethnographies of the '80s by Trinh T. Minh-ha and others, but it's been significantly mainstreamed now. On the other hand—and this is, importantly, more uniquely cinematic—critics frame docu-fictions as questioning "the fictive," as arguing that artifice often betrays a greater reality, that the standard ways we're taught to see can inhibit seeing the facts right in front of us, that every image taken on its own terms is a fact in and of the world. The ubiquity of CGI creates chaos for both these angles. By convoluting film's indexical relationship to its subjects, CGI potentially liberates cinema from an assumed truth-value; but the worry is that because of its aura of hyperreality, viewers will be unaware of this liberation, rendering movies an even more efficient tool available to society, discourse, knowledge-slash-power, fields of forces, empires, or capitalism. And as indexicality gets convoluted, so too do observations about the factual material underlying cinematic fictions. In redescribing some things we take for granted about movies, perhaps we can move toward some clarity about contemporary cinema's two horizons. "We read fiction," writes James Wood, "with two eyes, as it were, one world-directed and one text-directed." Which is to say, when we read about an imaginary world, we are able to simultaneously picture this world and analyze the tools that allow us to do so. Hence literary fiction creates a "doubleness," as Wood calls it. Wood proposes what can seem like contortionist aesthetic arguments; for him, literary realism—the old-fashioned kind—provides the most sublime aesthetic pleasures not because it allows you to escape into a fictional universe but because, at its best, it does the most to italicize and enhance the doubleness inherent in reading fiction. That is, when you are most convinced of what you're reading, you're also most impressed by the devices—the similes, the exacting descriptive language—doing the convincing. Tradition realism done well, for Wood, offers the most exquisite formalist pleasures. The writings of André Bazin regarding cinematic fictions make for an interesting point of comparison. Bazin snapped into focus something that had been present for, but not as forcefully articulated by, previous thinkers about cinema, which is that there is a tripleness to watching fiction film. We watch, as it were, with three eyes: 1) attuned to the proceedings as artifice, as projected light arranged in patterns that tell a story; 2) attuned to the proceedings of the story; and 3) attuned to the proceedings as their own reality, as documents of events that actually took place. When we watch the opening of The Searchers, we simultaneously see: A) a human cipher made of light approach a house made of the same; B) Ethan Edwards return from the Civil War; and C) John Wayne ride a horse up to a solid-seeming building. Contemporary hybrid cinema—docu-fictions, staged documentaries, etc.—can be seen as attempts to re-orient our three eyes, to italicize in ingenious ways various dimensions of our viewing experience. It would be ahistorical to ascribe too much novelty to this. Every moment in cinema history either explicitly or implicitly renegotiated the nature of cinematic tripleness. For example, films of the French New Wave put a stress on the evidentiary qualities of cinema, highlighting our ability to view fiction films as documentaries about their creation. Or, American slasher films of the 70s heightened viewers' awareness of constructedness by showing violence that was obviously staged, and only palatable as such, but these movies simultaneous took advantage of low production values to place their films within an idiom recognizable from newsreels, ethnographies, educational movies, travelogues, etc. (i.e. films shorn of the very special effects that made ultra-violence possible). Critics hostile to Hollywood—old-school aestheticians, Marxists—have argued that the dream factory tries to silence the first eye (artifice) and make us completely in thrall to the second eye (the story). (But what of our third eye?) The idea is that Hollywood cinema is a mouthpiece for society, discourse, knowledge-slash-power, fields of forces, empires, or capitalism. I'm very sympathetic to this line of argument, but I think it can oversimplify matters and distract us from teasing out some of the complexities of how narrative cinema tends to situate its own tripleness. Contemporary fan cultures are frequently devoted to an intense, religious engagement with realism. They want to believe in their fictions completely, or almost completely. And so Trekkies memorize the most arcane things about the world of Star Trek, mapping out every conceivable detail of the fictional world they love (compare this to how Nabokov would literally map out details from his favorite fictions). As such, fan cultures can be instructive in thinking about how we experience realism. The website tvtropes.org is a cornucopia of interesting fan memes, one of which is particularly interesting with regard to what we're talking about. It's called the Literary Agent Hypothesis, and it's a kind of thought experiment that goes: "The work is Inspired By real events. The person listed as the author is just the literary agent for the character who wrote it." The Literary Agent Hypothesis says that what you are watching actually happened, but that you are watching a re-creation of it. The thought experiment is meant to calm a panic that occurs for some fans when the movies they love ineptly break the fourth wall because of incompetent special effects, continuity errors, bad acting, etc. Their faith in the reality of the fiction to which they've submitted is disturbed. But that doesn't mean, according to the Literary Agent Hypothesis, that what they're seeing isn't true; it just means that what they're seeing is an approximation of the absolutely real events that inspired the story. The Hypothesis gets at something important about how we watch movies, which is that while we sometimes imagine that what we see of our fictional world actually happened just the way we're seeing, we just as often imagine that the things we see on the screen are actually descriptions of conceivable realities. Fiction film describes things we find plausible, and then the real narrative unfolds in our heads (perhaps long after the descriptions that flickered on the screen have passed). This resembles theater: reality describing an alternate reality. What's unlike theater is how close the two realities can get; it's like they're touching. Or it's as if what we see of the story and what we imagine of the story could be perfect visual twins. This potential twinning has caused some people to be intoxicated with movies and others incredible suspicious of them. Philosophers have long worried that art will make people mistake the fake for the real, fall in love with copies of copies. It's as if with cinema the mistake could be absolute. After all, what you're watching is real; it's just the way you're interpreting it—assimilating its descriptions into a whole—that could be wrong. But The Literary Agent Hypothesis suggests that the most intense dedication to the truth of what's onscreen comes about from recognizing its essential falseness; that the unseen reality is more real than the artifice being observed. In psychoanalysis, our actions are descriptions, nearly illegible, of our unconscious life. Accidents are descriptions of desires we thought or hoped we'd discarded; our romantic relationships are redescriptions of our childhood traumas. Reality describes an alternate reality, and one very much more real than what we usually accept as the world. Coming to terms with ourselves means recognizing that the unseen reality, the one being described as opposed to directly observed, is more real than the narrative artifice we construct to get through the day. Looked at one way, Freud's ideas are the Literary Agent Hypothesis writ large: Your life is Inspired By real events. The person listed as the author—you—is just the literary agent for the unconscious who's writing it. The Surrealists used to movie-hop—flit casually from one theater to another—so as to catch stray elements of movies outside their narrative context. The idea was that any element of any movie, when isolated, begins to describe something from the unconscious. There's a too-muchness of description offered in every shot of film, and by simply adjusting your mind, the Surrealists suggested, you can catch the author unawares. A fiction film is an attempt to force reality into describing what the filmmakers want it to describe. But as the Surrealists recognized, film is always describing too much, recording everything thrown in front of the lens; there's always a surplus. André Bazin favored films that, in various ways, allowed for or even drew attention to this surplus. Or, Bazin's favorite movies were movies in which the intended descriptions and the seemingly unintended ones seemed to work together. 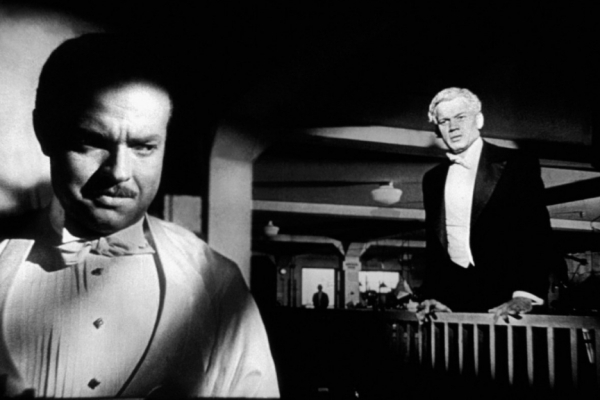 The deep focus shots in Citizen Kane allowed the viewer's eye to wander, just as the eye wanders outside the cinema; for Bazin, the perfection of the film was that the eye searching of its own accord would always find something cognate with the narrative. This gave viewers freedom, creating a more democratic mode of spectatorship, but one that could still ultimately be in service to the narrative: in better service, because more just. To return to the horizon points of contemporary narrative cinema, let's assume, for our purposes, that the first direction can be represented by James Cameron's Avatar and the second by the films of Pedro Costa. 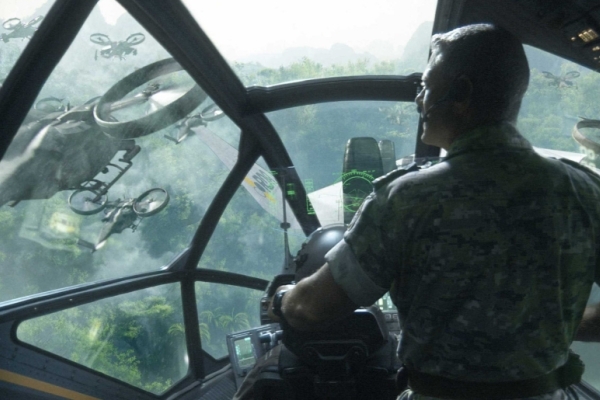 Avatar really is something new; it renegotiates the tripleness of movies in a revolutionary way. If one of the pleasures of literary fiction—of, say, Tolstoy—is simply the wow factor, delighting in watching objects conjured by means that are in some essential way alien to them (words), Avatar makes a serious claim that cinema can compete with, and maybe best, literature on these terms. Films have never offered much competition in this area because their tools for describing the world are automated, and of the world, not essentially alien like words. 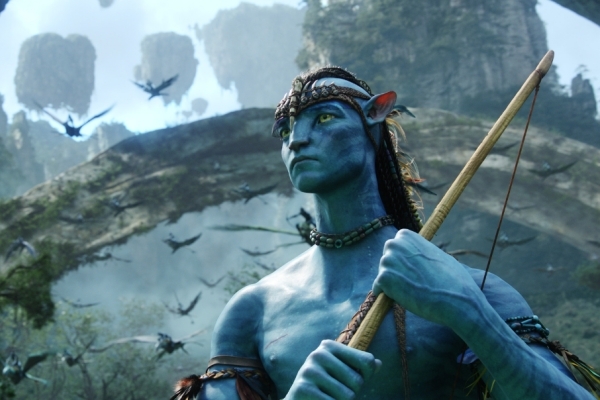 But the pixels in Avatar are more like words than classic film images. We end up amazed by a virtuosic representation of physical reality, the virtuosity of which relies on the movie being untethered from an indexical relationship to physical reality. One thing to note is that the effect wouldn't work if the movie didn't take place in a fantastical universe. So one thing we can conclude about this horizon is that it will be fantasy or sci-fi or impossible or it will be nothing. One of Avatar's achievements is that is has no accidental surplus of description—or at least very little—while seeming to. Every shot overwhelms the visual field with a too-muchness of information, like old-fashioned movies, but the effect isn't automated but calculated. It's unprecedented and quite dazzling. It's like if you found out your unconscious was being entirely subcontracted by James Cameron; you might be terrified, but you'd be impressed. 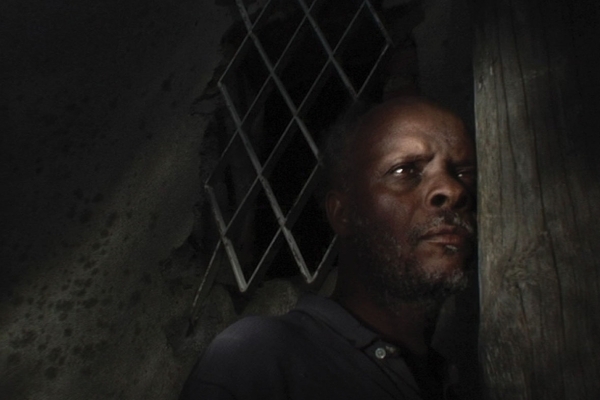 To turn to the other horizon, and to Pedro Costa. Like many well-regarded contemporary artists, Costa wears his influences on his sleeve, and likewise, he makes a point of having heterogeneous influences. From Warhol there's a love of solid time, erotically extended durations; from Straub-Huillet there's an almost religious belief in the alchemical power of blocky editing; then, from old Hollywood, there's a love of archetypal or mythopoetic imagery. These are only a few of Costa's sources; I can only gesture at them in this essay. What I'm most interested in is Costa's use of long shots. The shots are delicately composed and daubed with deep blacks, with both elements accenting their artificiality. But their length undercuts this artifice. Reality becomes distended, and the first effect of this is to divorce the individual shots from the narrative. We begin looking for the surplus, becoming connoisseurs of the accidental or impossible to plan. This is only the first tier in a two-tiered psychological process. The second tier is to wonder what else, if not the narrative, the images might be describing. This is most clear in Colossal Youth, where scenes are repeated with variation, each repetition destabilizing our assumptions about what the images mean. Film images refuse to refer only to themselves, so as they become untethered from a story, they become mysteries. What Costa's movies—and this horizon—suggest is that there is something more spectacular than spectacle, and we don't have a name for it and never will. The two horizons of contemporary cinema can both be seen as reactions to technological developments. The first (represented by Avatar) is progressive in relation to these developments; the second (represented by Costa) is reactionary. But the two horizons also represent two attitudes toward what we could call wonder: one delights in the total certainty of fantasy; the other teaches us to embrace the radical uncertainty of reality. If there's a struggle between these two kinds of wonder, and I think there is, it has implications far beyond the cinema.